With the plethora of discs with wonderful music glorifying the tango, it is often tempting to think that the music of Argentina is just the tango – and little else. 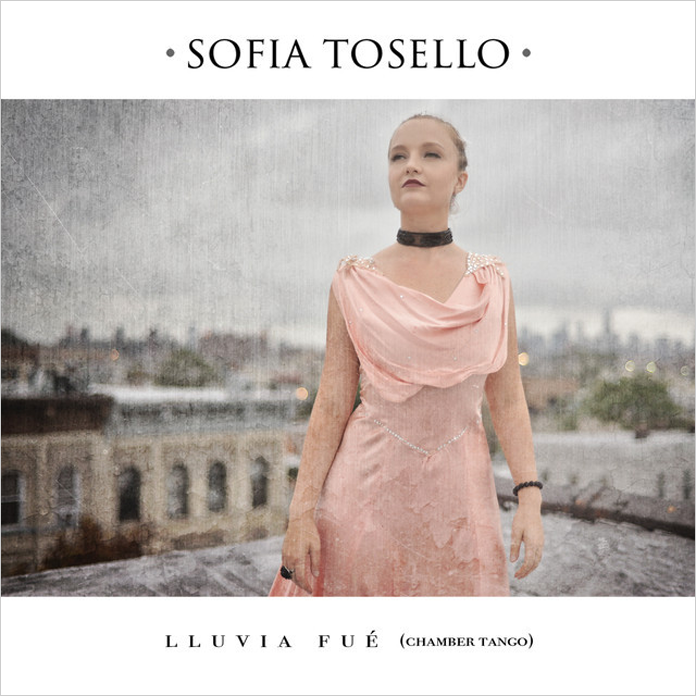 But even if one arrived at such ill-judged conclusions, this extraordinary disc Lluvia Fué by Sofia Tosello comes as something to think about deeply especially for its promise – from before a note is sung to its lasting impact after the last notes of “La Última Curda” uttered by her seductive voice fade into nothingness. The promise of “chamber tango” has often been on offer recently. And the celebrated discs by Pablo Ziegler have dazzled from end to end. But what is so utterly alluring about this one – Lluvia Fué – lies in the magic of Miss Tosello’s voice. It is, at once camp, theatrical and authentic. One is at pains to recall a soprano that sounds so smoky and bewitching and a singer as dramatic in her delivery of the narrative of the tango as Miss Tosello. The dark strength of his voice will introduce the listener all over again to the music where lyricists and singers talk back to destiny. The lyricists – Eladia Blazquez, Gustavo Kehoe, Enrique Cadícamo, Emilio Fresedo, Homero Manzi, Cátulo Castillo and half a dozen other premier lyricists represented on this extraordinary disc – appear to be mighty story-writers who, at their best, make abstractions of the bad things that happen to lovers and others, while restoring their hearts to tears. And in this writing they have established an alternate literature. It is this literature that Sofia Tosello brings to life with such unbridled genius. She is joined by Fernando Otero on piano. Mr. Otero is not spoken enough of as a producer. One hopes that this disc will remedy that. Also present is the Peruvian guitarist maestro-husband of Miss Tosello – Yuri Juárez, who is always a game-changer on any music he plays. But let’s not forget to acknowledge the masterful work of Nick Danielson on violin, Adam Fischer on cello and Pedro Giraudo on contrabass who turn this tango music into something so vivid that one is left breathless as Sofia Tosello inflames us with her reverence for the form of the tango.